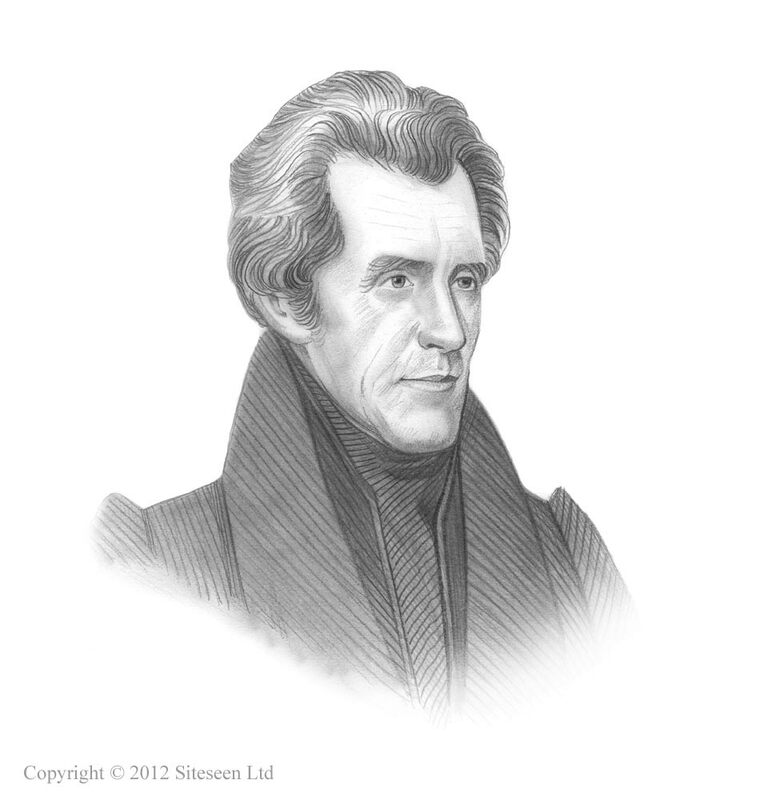 Cyrus McCormick Reaper: Andrew Jackson was the 7th American President who served in office from March 4, 1829 to March 4, 1837. One of the important events during his presidency was the invention of the McCormick reaper. Summary and definition: The McCormick reaper was a mechanical horse-drawn reaping machine invented by Cyrus McCormick in 1831. The McCormick reaper speeded the process of harvesting wheat and other small crops by replacing the manual process of cutting of grain crops using scythes and sickles to harvesting with a machine. This invention saved farm workers from hours of back breaking labor, increased productivity and revolutionized farming methods. Although the McCormick reaper was invented in 1831 it did not come into general use until 1845 and was a Important invention in the American industrial revolution. The McCormick reaper for kids: What is a reaper? A reaper is a person, or a farming machine, that reaps (gathers and cuts) crops at harvest, when they are ripe. The McCormick mechanical reaper replaced the manual cutting of the crop with scythes and sickles. The climate of the Northern states was ideal for the production of wheat. The early farmers only had wooden plows to break the grass cover and roots of the turf. In 1819 Jethro Wood patented an iron-bladed plow then in 1837, John Deere engineered a plow with sharp-edged steel blades that cut cleanly through the sod. This invention reduced the amount of labor required to prepare an acre for farming by half. However, the invention of the mechanical reaper by Cyrus McCormick, and its use in the Northern states, equaled the importance that the 1793 Eli Whitney Cotton Gin and the development of the Samuel Slater cotton mills had made to the Southern States. The McCormick reaper for kids: What crops are reaped? The grain crops that are reaped include wheat, rye, oats and maize. Cyrus McCormick solved this problem for the wheat farmers by inventing a horse drawn, mechanical reaper. His design was pulled by horses and cut the grain to one side of the horse team. Interesting Cyrus McCormick Mechanical Reaper Facts and Timeline for kids are detailed below. The history of the Cyrus McCormick Mechanical Reaper is told in a factual timeline sequence consisting of a series of short facts providing a simple method of relating the history of the Cyrus McCormick Mechanical Reaper. His father, Robert McCormick, had a family blacksmith shop and Cyrus worked with his father as he tried various methods to invent a mechanical reaper. 1843: Cyrus McCormick had increased his sales to 50 machines a year - but they were local sales.